That thing that I have been waiting for finally arrived yesterday. It took this thingamajig 8 days before it landed on my lap. Not bad, I was hoping to receive it a few days earlier though. 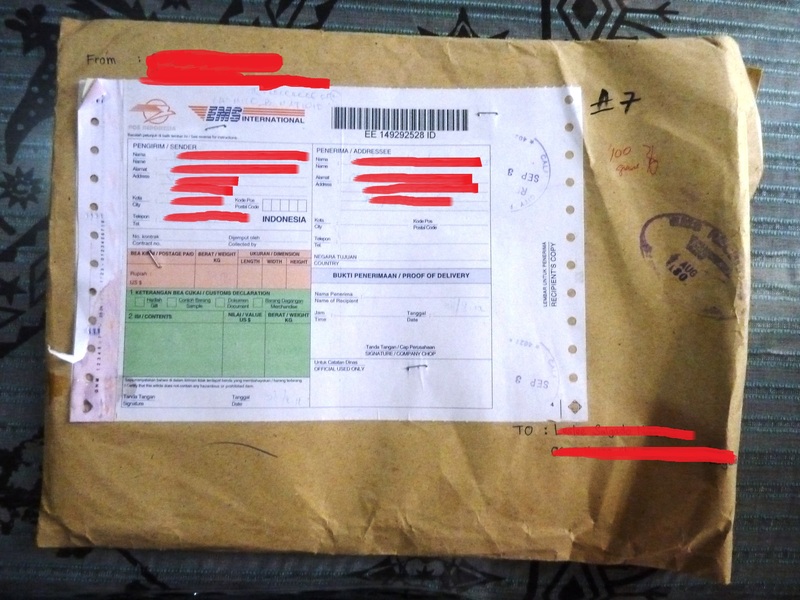 Anyway, we received this small note from the postman saying that there is a document for me sent through International Express Mail Service (IEMS) waiting to be claimed in their office. I have been using the post office services the past few years now because I have become a semi-nomad. Sending stuff home or receiving stuff from friends from everywhere made their services very handy. And yeah, post office really works. Don’t be scared. What I really don’t understand much though is that why do I need to go to their office to claim it personally? Can’t they just deliver it on hand? They can deliver that notification letter to our doorstep so why can’t they bring the parcel with them as well? Also, why do I need to pay a fee when I claim something? The sender has paid shipping fee for it already. What is this money for? Anyway, I have lived with this weird SOP they have and have paid fees several times that I never bothered to ask. I think I did. I just forgot what they said. I just want things to be over and done. Moving on. Hmmm… This thing is with me now. Wow. It is getting more and more real. I am starting to get nervous. I better start pulling my act together. And I swear (again), post office services really work. Give it a try.